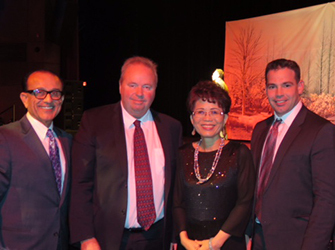 RICHMOND, BC – BC Minister of International Trade and Minister Responsible for the Asia Pacific Strategy and Multiculturalism, The Honourable Teresa Wat (MLA – Richmond Centre) hosted her annual Winter Celebration and Fundraising Gala at the River Rock Show Theatre in Richmond, BC to celebrate the holiday season. 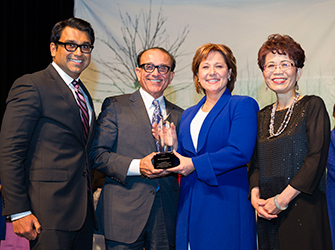 The Honourable Christy Clark, Premier of British Columbia, spoke at the event, celebrating the province’s multiculturalism and championing the government’s vision for increased exports and partnerships in Asia. SPF Precut Lumber was a proud VIP sponsor of the event. WHISTLER, BC – At the annual Global Buyers Mission in Whistler, British Columbia, SPF Precut Lumber prominently exhibited and promoted Canadian softwood lumber exports to international buyers from all over the world. 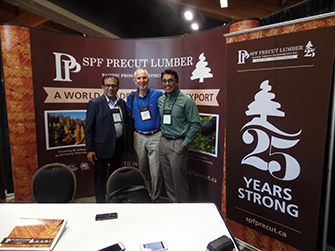 Throughout the event, SPF Precut Lumber had the opportunity to meet with new and existing customers, long-standing suppliers, and other important stakeholders. The SPF Precut Lumber team consisted of President Muhammad Amir, Fareed Amir, and Mo Amir. 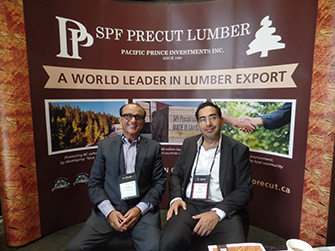 As the premier international softwood event held in Canada, including qualified international buyers from several countries around the world, SPF Precut Lumber – as a leader of BC softwood lumber exports – was well-positioned to promote BC forestry products. 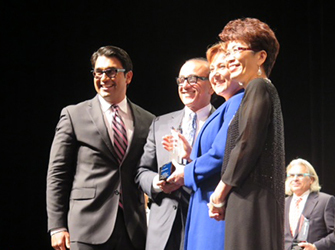 SPF Precut Lumber President, Muhammad Amir, also had the opportunity to speak with BC Minister for International Trade and Minister Responsible for the Asia Pacific Strategy, the Honourable Teresa Wat. 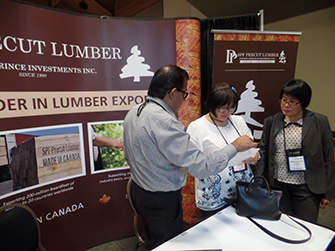 A BC Wood initiative, the Global Buyers Mission is a three-day, invitation-only networking / educational forum and tradeshow event developed to bring together qualified international buyers of wood products from around the world, with Canadian manufacturers and exporters of wood products. 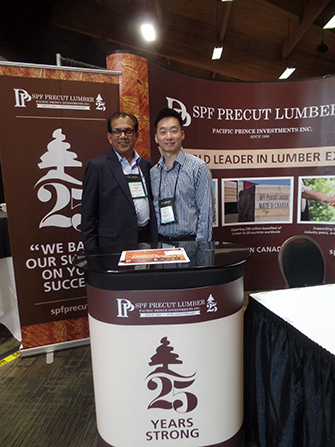 As a high-profile exhibitor for many years, SPF Precut Lumber takes great pride in leveraging its strong global reputation to promote Canadian forestry products overseas at this annual event. 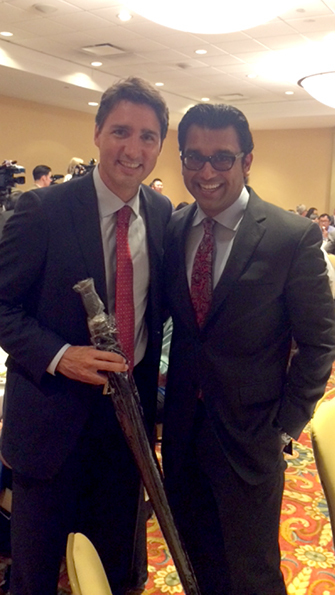 RICHMOND, BC – As an invited guest to the Richmond Chamber of Commerce’s Luncheon with Justin Trudeau, SPF Precut Lumber’s General Manager, Mo Amir, was given the privilege to meet the Leader of the Liberal Party of Canada and MP for Papineau, Quebec, Justin Trudeau. Mr. Trudeau spoke about prospects for Canada’s middle class at the non-partisan, Chamber-hosted event. On October 19, 2015, the Liberal Party of Canada won a landslide election, effectively ushering in Justin Trudeau as the 23rd Prime Minister of Canada. Prime Minister Trudeau was sworn into office on November 4, 2015.